atheryn Jenks, a slight 56-year-old woman, called 911 at around 3 a.m. on a Sunday in September to report her car alarm going off. Within minutes, she was handcuffed and sitting in the back of a Rio Vista police car, bleeding from a gaping wound on her right forearm where a police dog bit her. In a separate case, two Rio Vista police officers entered a home in August, 2017, and one quickly put a man who lived there in a potentially deadly chokehold. "Don't kill me," the man yelled after the officer threw him to the ground. That officer, John Collondrez, was fired. Natalie Rafferty, the officer and K-9 handler who planned Jenks' arrest, has been notified by the department that she, too, will be terminated, according to documents released to KQED and the Bay Area News Group under a new state law that unseals some internal investigations and police disciplinary records. 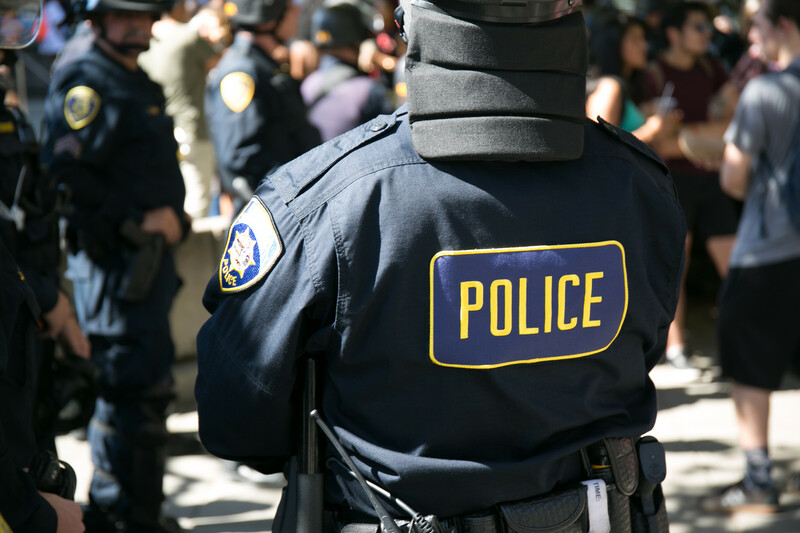 The records released by Rio Vista are among the first in the state to show officers disciplined for violating use-of-force rules and for dishonesty. Although it remains to be seen whether such misconduct is rare or widespread, one expert made it clear that the disclosures offer a glimpse into what "has been a hidden world" in California, where most officer discipline was confidential for decades until the new law took effect Jan. 1.
enks had called police seven times between Sept. 22 and the day of her arrest to report that her car alarm was going off, that someone was trying to break into the vehicle and that her garden hose had been tampered with. Sometimes she hung up, and she sometimes didn’t answer when dispatchers called her back. Officers never found anything suspicious. Rafferty and her partner, rookie Officer Man Ly, had a plan ready if she called again, records show: They would arrest her for abusing the 911 system. They got their chance Sept. 30. The internal investigation into Jenks’ arrest found that Rafferty put false information in police reports to bolster a felony charge against Jenks, including that she had injured officers when she bit them. Rafferty and Ly submitted photos of alleged injuries, but an investigator found the claim that the woman's bites hurt them was "patently false." Jenks still faces charges on six misdemeanors -- for unlawful 911 calls, battery on each officer and resisting arrest. She is due back in Solano County Superior Court in March. n the other case, a veteran Rio Vista officer’s misconduct so tainted a drunken driving, hit-and-run investigation that the suspect couldn’t be charged. A sergeant noticed major inconsistencies in a police report of the incident and raised concerns to the chief. Collondrez and Costa went inside without a warrant or sufficient cause to make an arrest. When the suspect, who we are not identifying because he was never charged, refused to go outside, Collondrez shoved him against a wall and put the man in a potentially deadly chokehold, the investigation found. Body camera video shows the hold lasting about 20 seconds. Collondrez, the former head of the Rio Vista Police Officers Association, twice appealed the city’s move to fire him. He resigned on Sept. 19. The former officer now appears to work for Uber as an investigator. Neither Collondrez nor his attorney agreed to be interviewed. Tom Nolan, a former Boston police lieutenant turned academic, reviewed both cases and said he was very surprised the police chief fired the officers. "The best course of action is to discipline if it's indicated, retrain him if needed, or give her some counseling or whatever is needed in order to keep them in your organization," Nolan said.